Hi ladies, I'm so excited to announce that I'll be doing my first giveaway today! 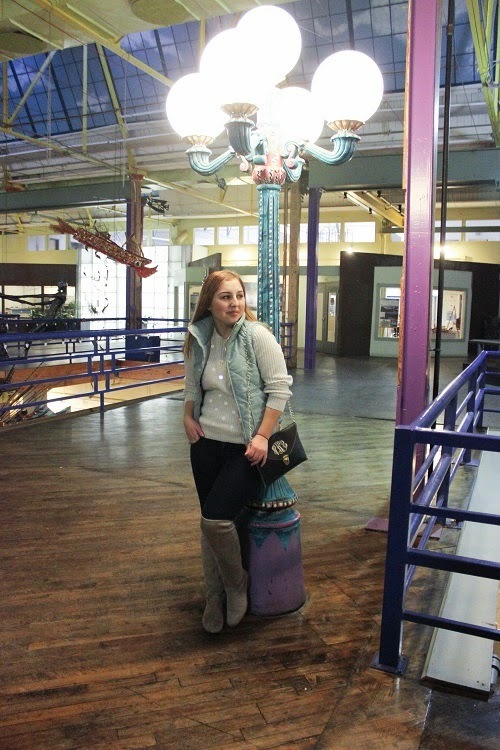 The Mint Julep Boutique was kind enough to give my readers the chance to win a $25 gift card! 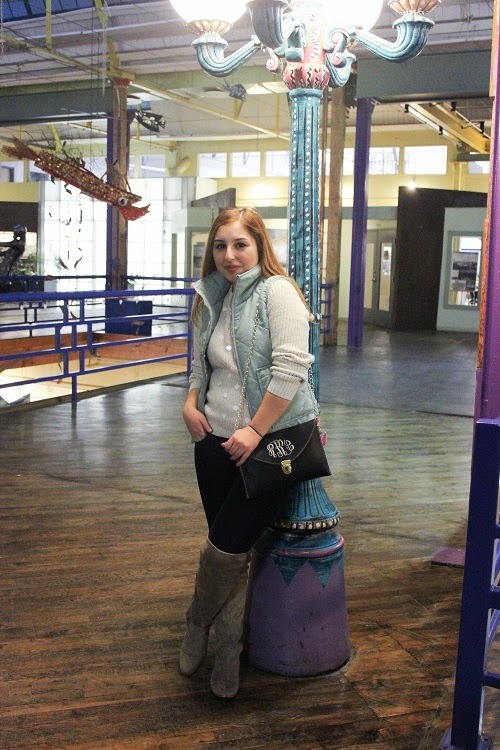 I'm obsessed with their amazing clothes that's perfect for any college fashionista on a budget. 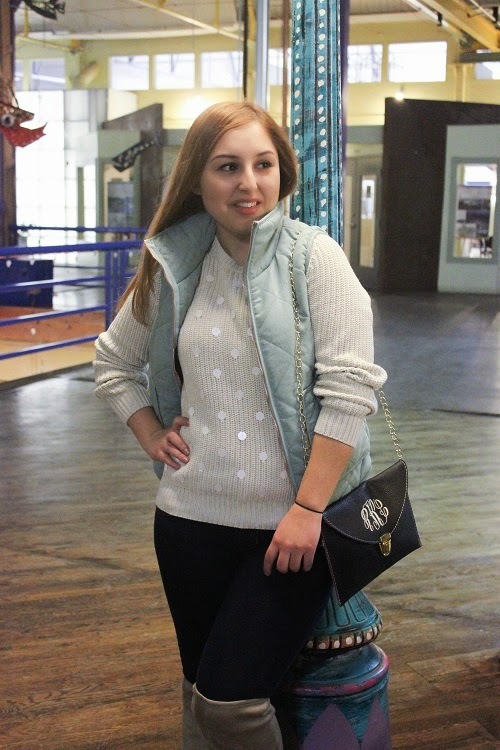 I decided to wear their Let it Snow vest for today's outfit post. Right when I saw this vest on their website I knew I had to have it. Not only is the mint green color gorgeous but the zipper is in the color rose gold! Such a unique combination that I haven't seen at any other shops besides Mint Julep. If you like this vest or any of the other stunning clothes on the site, then be sure to enter the giveaway! The giveaway is open to US readers only, don't worry though there's going to be international giveaways in the future so stay tuned. The giveaway ends on Feb 19th! I'll be contacting the winner via email on the 20th. The winner has 24 hours to respond to the email before I choose someone else. Awesome for your first giveaway!! 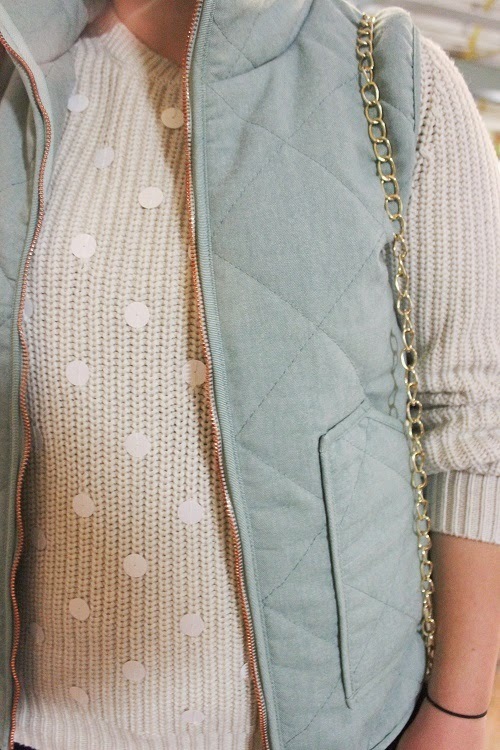 That vest is so adorable! I'm always up for awesome fashion on a budget! Ah congrats on your first giveaway! 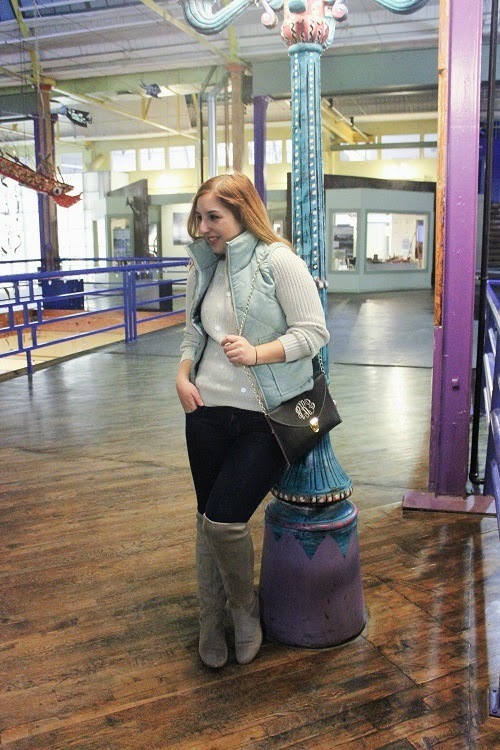 I really love that vest its a perfect transition vest for February and March as we head into spring but don't want to be as dark as we can be from November-January. Oh, thats so exciting! Your hosting your first giveaway. Giveaways are so fun. I really love your polka dot sweater. I love the polka dot sweater!!! 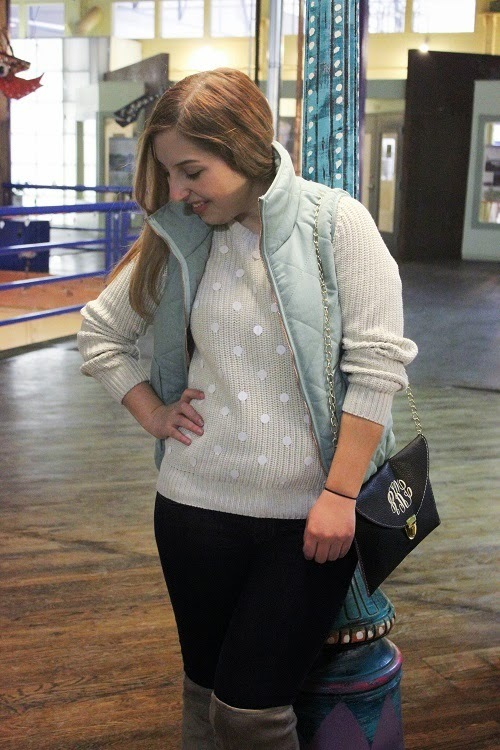 I love anything polka dot! & your clutch bag! 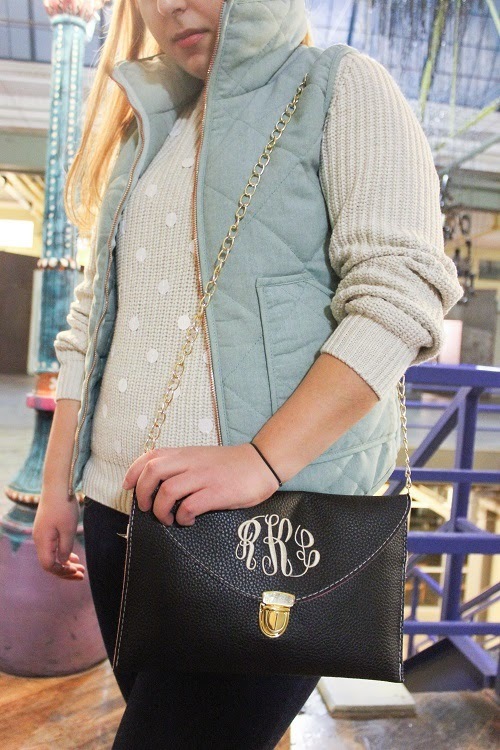 I have been thinking about getting a monogram bag for the longest, I feel like now just getting it from seeing your post! Congrats on your first giveaway. I love your sweater - the dots are so pretty. Love the blog- thanks so much for n awesome giveaway!! Great giveaway! I love this outfit on you! Especially the sweater! I love their vests, very cute! Love Mint Julep!! This is such a great giveaway. Thanks for hosting. Lovee your outfit BTW. 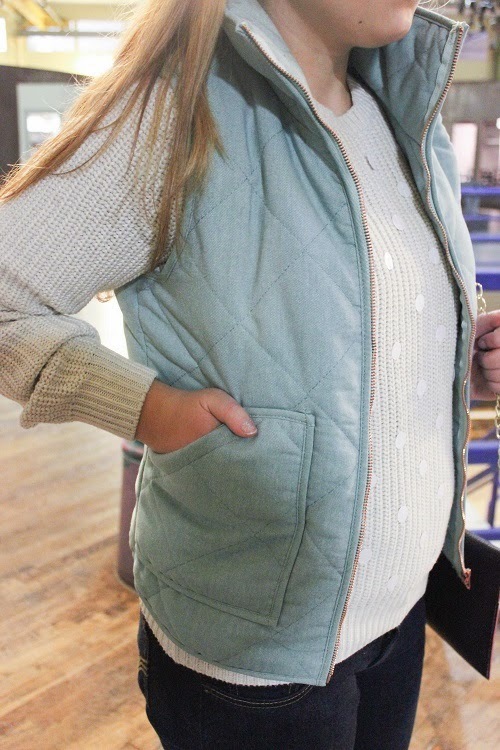 I absolutely love the vest! This whole outfit is beautiful! !